The competition is on to see if you can be first in the space race! The Space Race Rollercoaster is an amazing construction toy that will be adored by both adults and children alike. Featuring an incredible automatic lift that keeps the included metal balls endlessly rolling round and round, this rollercoaster comes complete with 2.5 metres of track, two steel balls, an automatic route selector and an electric spiral for non-stop action! 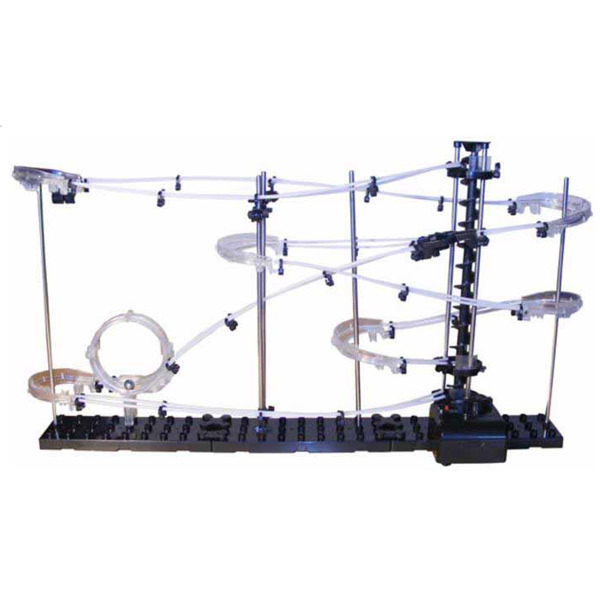 The Space Race Rollercoaster allows you to build your own set up using the included detailed instructions, then continue with your ball-bearing entertainment for hours on end. You can even select two different routes for the balls to take! 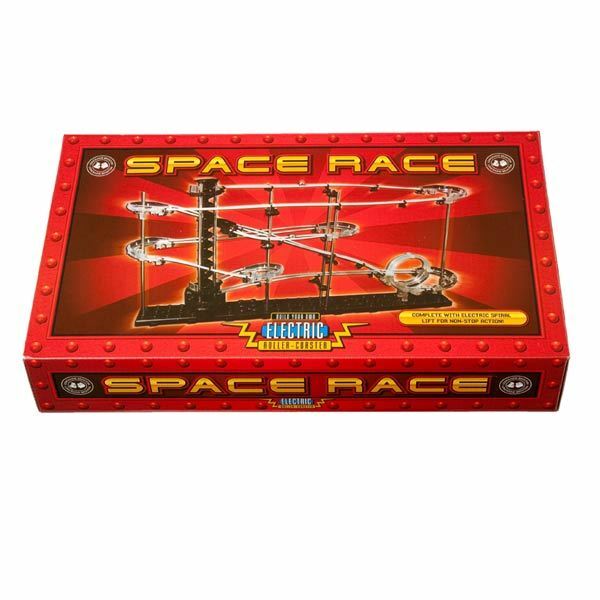 Requiring one C battery (not included), this sensational Space Race will keep the hands and minds of young or old active and engaged, as they erect a space-age rollercoaster of their very own. Check out the Space Race Rollercoaster in action right here!